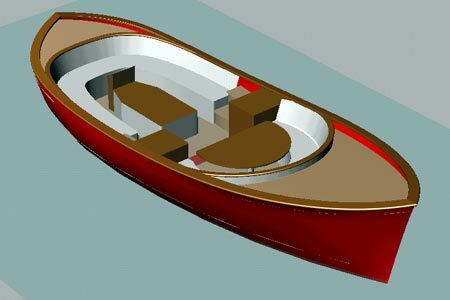 The Boodi 28 has been designed by Dutch navy architect Ronald Hagenaar. The design combines a classis look with a high-tech wing that makes it possible to reach a higher speed. The Boodi 28 is very safe, comfortable and can be used on sea. Fibreglass, gelcoat, resins, adhesives, fittings and accessories are from Europe, the engine is Dutch-built by Yanmar, and the ecologically-friendly used Teak wood is from India.